Seeds facts, an information sheet for kids cooking activities. 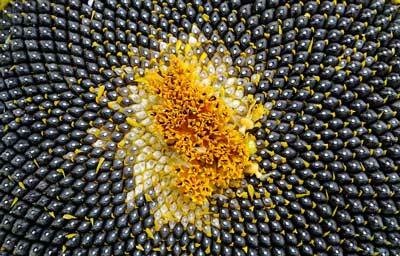 Seeds facts and general information about sunflower seeds, sesame seeds and pumpkin seeds. Sunflower seeds grow in the sunflower. See picture at top of page. Sesame seeds grow on a plant. Pumpkin seeds of course come from inside of a pumpkin. If buying seeds in their shells look for firm shells with no cracks. Most seeds are pre-packaged for you. Most all seeds are available pre-packaged and can be stored in the cupboard, fridge or freezer. Sunflower seeds, sesame seeds or pumpkins seeds are a great healthy snack as they provide protein and other nutrients. Use seeds as toppings for salads or main dishes. Seeds are a good source of protein. They also have iron. Preheat oven to 250 degrees. Combine oats, nuts, seeds, coconut and brown sugar. In separate bowl, combine maple syrup, oil, and salt. Combine the two together and pour onto sheet pans. Cook for 1 hour and 15 minutes, stirring every 15 minutes. Remove from oven and add raisins. To prepare the mixture, shell the pistachios and remove the seeds from the dates. Place the dates, almond paste, pistachios, sesame seeds and coconut oil into a food processor. Process the mixture until the pistachios break into small pieces and the mixture makes fine crumbs. Once ready, take a spoonful of the mixture in your hand and flatten it out. Try to bring the mixture together and form it into a ball by rolling it between your hands. Do not press the mixture too hard while rolling or else it may crumble. Form balls with the rest of the mixture, placing the balls on a cookie sheet. Place into a refrigerator. Let the balls chill for 1 hour or until the balls become firm. Serve chilled. Back to Food Facts page from Seeds Facts.